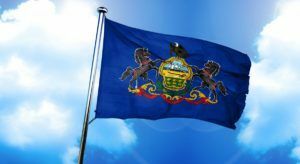 Pennsylvania officials rejected all eight growers that planned to partner with medical schools to research medical marijuana. Those cultivators also would have been allowed to compete in the commercial market with a lower barrier of entry than other licensed MMJ operators. The state will open a second round of applications in early 2019. The surprise move came on the heels of a lawsuit challenging the medical cannabis research program process, but the state told The (Philadelphia) Inquirer the decision wasn’t based on the litigation. The suit had noted that some of the research growers scored very low in the state’s MMJ competitive process, yet would have received permits allowing them to also compete in the commercial market. Attorney Judith Cassel, who represented the group of licensed MMJ operators that sued Pennsylvania, said the announcement proved that the state’s process had been flawed. “We hope that (the Department of Health) will now revise the process to be an open, transparent one where the best operators in the state get to do research,” Cassel wrote in an email to Marijuana Business Daily. One of the research grower applicants, CuraLeaf, said it would “immediately” appeal the state’s rejection. The latest development doesn’t have to mean that clinical research can’t begin, Cassel added. She noted that the medical schools could start research immediately using MMJ operators that have already been vetted and licensed for the commercial market. This is all bureaucratic BS, the Administrative State preventing progress, none of it is needed, it is just the bitter foot dragging of anti marijuana losers who are still abusing their offices of trust. Just get out of the way and the Marijuana Movement will restore prosperity to that chocking on the past hell hole called PA.